Fall is my favourite season…I love all the colours of the leaves! Mixed with the crisp, sunny weather, it’s the perfect transition from Summer to Winter! 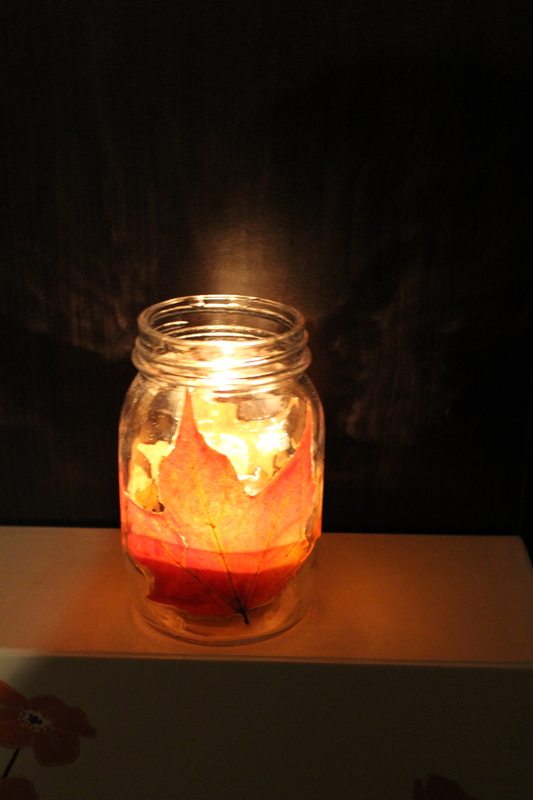 When I saw this Fall project, I thought it would be perfect…as it also involved another favourite of mine: mason jars. I love the way mason jars look, I’ve devoted a whole Pinterest board to them, they always seem to be hidden in cupboards & basements, yet I haven’t completed a single mason jar project… No more excuses! First step is to collect leaves and press them for at least 36 hours. 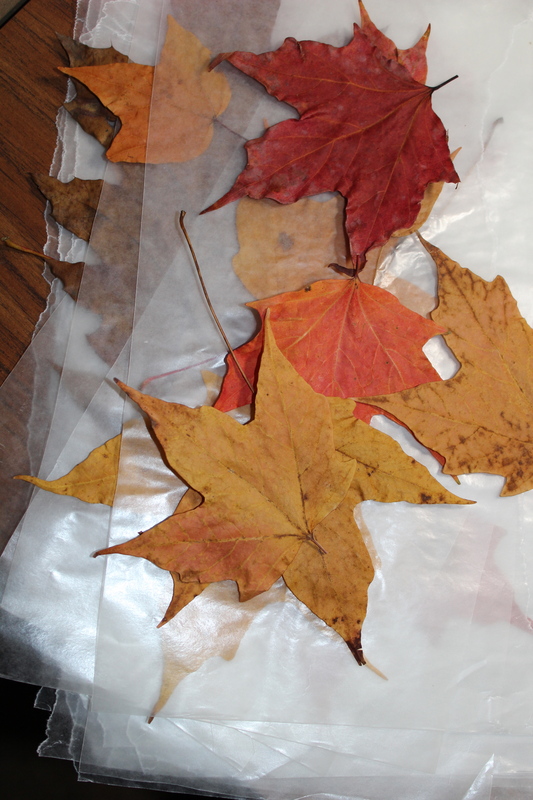 I pressed them between layers of wax paper with a book to weigh them down. Other materials needed: Mason jar, Mod Podge, a paint brush. 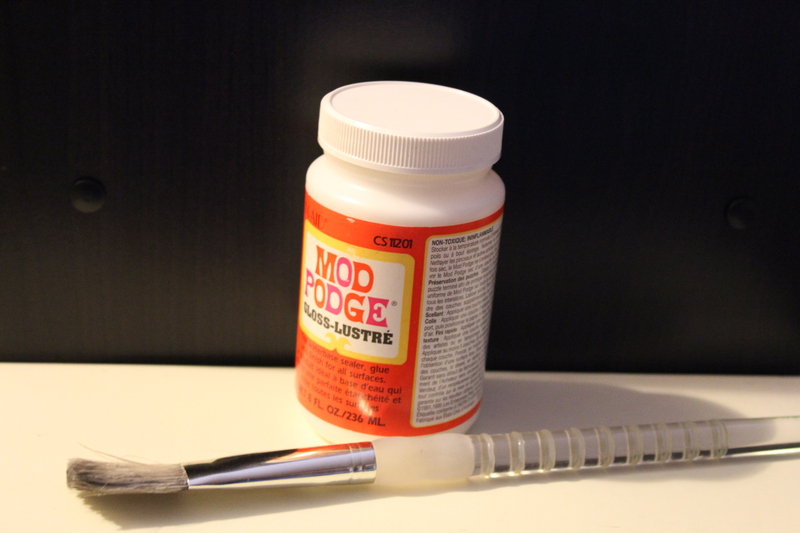 I just used the Mod Podge I already had, but in the future I will experiment with other finishes. For this jar, I painted the inside of the jar with Mod Podge, pressed a leaf on each side, and then covered the inside of the whole jar with a top coat. It took a few days to dry, and still hasn’t dried completely underneath the leaves. 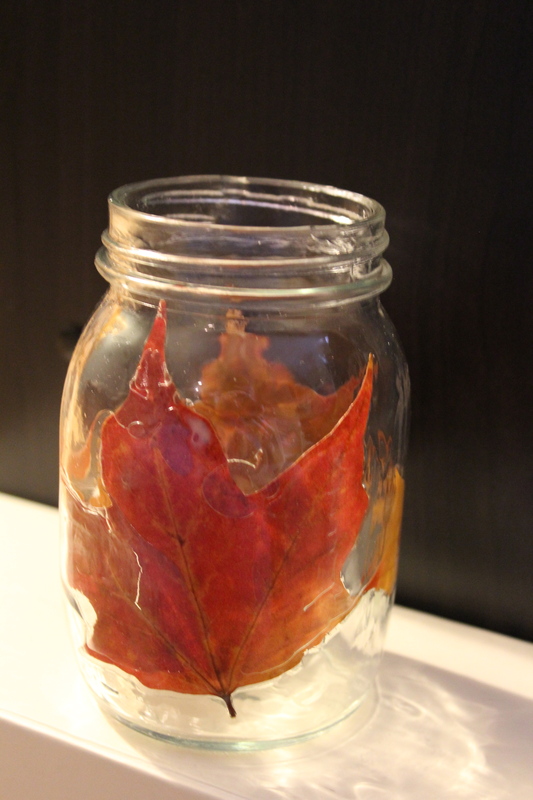 I am currently working on another jar, this time with the leaves glued to the outside of the jar. I’m interested to compare the look of gluing the leaves on the inside vs. the outside (Gluing them on the outside is definitely easier!). Update: Gluing the leaves to the outside of the jar is the way to go! Easier to handle, and any adhesive that hasn’t dried yet is hidden on the inside of the jar. Pretty – I love fall too!